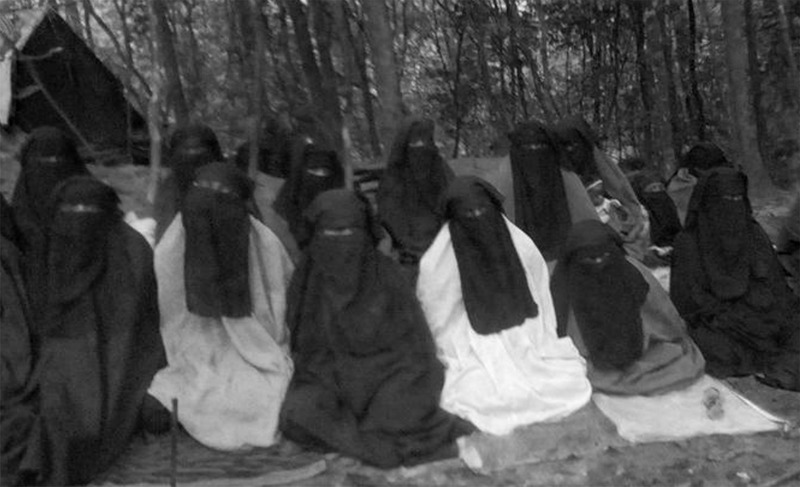 Women inside an ADF camp near Eringeti, DRC. Posted on social media dated March 2017 titled “Juma [sic] pray r MTM”. One important group has been the Ugandan Allied Democratic Forces (ADF) rebellion. Since the late 1990s, the group has carried out brutal massacres, kidnappings, and lootings in the area, often in collaboration with other local militias and leaders, and is one of the deadliest armed groups in the Kivus. Given the lack of prominent defections, its strict internal discipline, and lack of public communications, it has been difficult to understand its motives, internal structure, and bases of support. This report, for which the Bridgeway Foundation provided support, gives a rare glimpse into the organization. While the senior leadership of the ADF appears still to be dominated by Ugandans – none of whom appear in the videos – the propaganda in the videos is aimed at a much broader East African audience, employing Kiswahili, Luganda, Arabic, French, and Kinyarwanda. Kiswahili – Congolese and Tanzanian dialects – the most widely spoken language in the region, is by far the most prevalent in the videos, and there are two Burundians also featured. Women and children play an important role in the organization. In two videos, they can be seen as playing active roles in attacks, pillaging and bearing arms. Several older videos, recorded before the recent uptick in violence, feature at least 70-80 children being indoctrinated and undergoing military training. Women also feature prominently in several videos, as combatants, reading from the Quran and tending to wounded combatants. The ADF appears to be attempting to rebrand itself as the organization faces military pressure and a leadership change. While radical interpretations of Islam have long existed within the ADF, combatants in these videos more brazenly encourage and banalize violence against “infidels,” civilians and soldiers alike, and call on their colleagues to become martyrs for their cause. being praised for their courage.